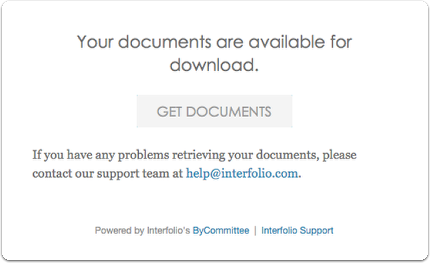 If enabled, users in Interfolio RPT can download case materials to which they have access. 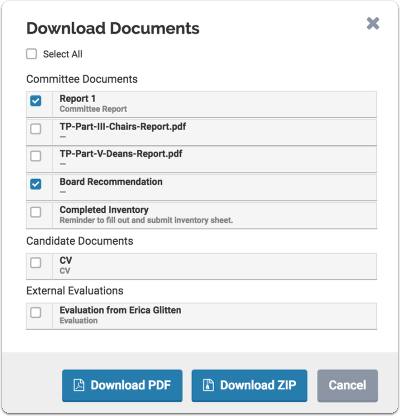 If downloads are enabled for the entire packet, all materials (other than video or web links) can be downloaded in a Zip or PDF file. materials can also be downloaded one at a time or all together from the materials viewer. This article explains both processes. For security reasons, downloads are not direct. 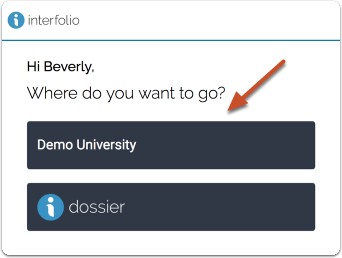 Users can access downloaded case material at any time from the Notifications center. 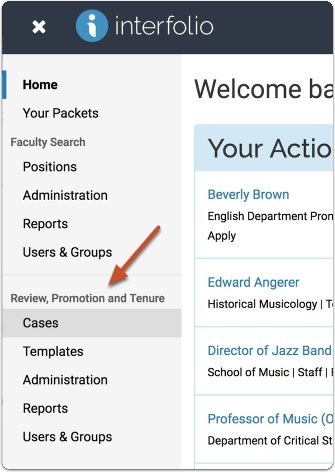 The 'download' ability can be restricted at an institutional level and disabled for all users. 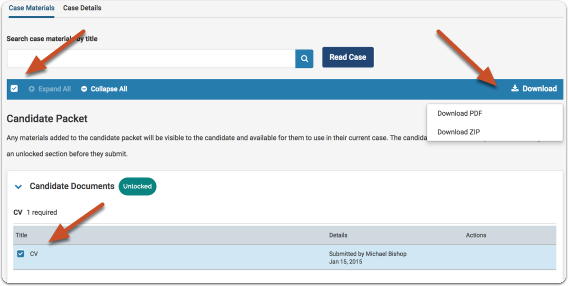 On the "Case Materials" tab of the case page, you can read or download documents that were submitted by the candidate, committee members, and external evaluators. The document viewer displays all materials organized by sections. You can download materials (if enabled), from the upper right corner of the viewer. Only PDF and image files can be downloaded. If you have selected multimedia files, you will see a notice as shown below, and these files will not be included in your download.